Can Sugar Gliders Fly? - Do Sugar Gliders Fly? Pet sugar gliders love to jump around from their cages, to their owner's shoulder, to a couch, but can they really fly? Unfortunately, sugar gliders cannot fly but they do glide some impressive distances due to a unique body part that a few other animals also have. Patagium (plural: patagia) is what the flexible, somewhat stretchy, flap of skin between the front and back legs is called. A human wing suit is modeled after this special patagium and enables humans to glide through the air before releasing their parachute to safely land if skydiving or BASE jumping. Patagium, unlike wings on birds, does not enable a sugar glider to fly. Instead, it increases the surface area of the sugar glider and lets it make controlled glides through the air and from tree to tree in the wild. In sugar gliders and flying squirrels, it is a fur covered part of ​their skin that spreads out when the animal extends its legs. The name "sugar glider" is very literal but accurate since the small marsupials have quite the sweet tooth and also glide through the air. In the wilds of Australia, sugar gliders can glide over 50 meters (164 feet) from tree to tree in search of food. They rarely jump to the ground in hopes of avoiding predators but are quite able to walk and crawl around if necessary. When a sugar glider jumps to a tree, it extends and spreads its legs out to flatten and stretch the connective patagium to create something with its body called an airfoil. This aerodynamic force allows a sugar glider to control its speed and direction. By adjusting its arms and legs it changes the airflow, much like the wings of a bird or airplane, but it does not flap its arms up and down to create lift. This is why a sugar glider has to rely on the height of a tree or wind to carry it to where it wants to go. What Other Animals Have Patagium? Sugar gliders aren't the only animals that have this special kind of connective skin. Other creatures have the same, or variations of, this patagium and can either fly or glide. Flying Squirrels - These rodents have the same patagium as sugar gliders and are basically the North American version of the adorable Australian marsupials we keep as pets. Many people often confuse flying squirrels for sugar gliders and vice versa but they are different species. Bats - In these mammals, the patagium actually allows flight. It is more of a membrane that is attached to the wing bones which are designed for full flight. Bats also flap their arms up and down to create lift. Pterosaurs - These now extinct flying dinosaurs had patagium that probably enabled it to fly like a bat does today. Reptiles and Amphibians - A type of interdigital patagium exists on some species of frogs and lizards that enables them to glide from tree to tree (or even on the ground in search of a mate). Flying frogs and gliding geckos both have patagium. Sifakas - A lemur found in Madagascar has a membrane referred to as patagium on its inner front legs or arms. Sifakas use this patagium to help them jump from tree to tree in search of food just like a sugar glider does. Colugos - Referred to as "flying lemurs," these mammals are found in Southeast Asia and have patagium much like flying squirrels and sugar gliders have. The patagium also connects the tail of the colugo to the legs creating a hexagon when all appendages are extended. They are thought to be the best gliders out of all the gliding mammals. A few other animals around the world also have different kinds of patagium but no matter where in the world they are found, or how much or how little patagium they may possess, these special flaps of skin and membranes help them collect their food while gliding from tree to tree. By better understanding your sugar glider's normal behaviors, you'll be better prepared to offer an appropriate environment that is not only safe and secure but also enriching, fun, and spacious. Do Southern Flying Squirrels Make Good Pets? Why Do Male Sugar Glider Have a Bald Spot on Their Head? Does Your Sugar Glider Have Ick? What Behavior Can You Expect From a Pet Sugar Glider? 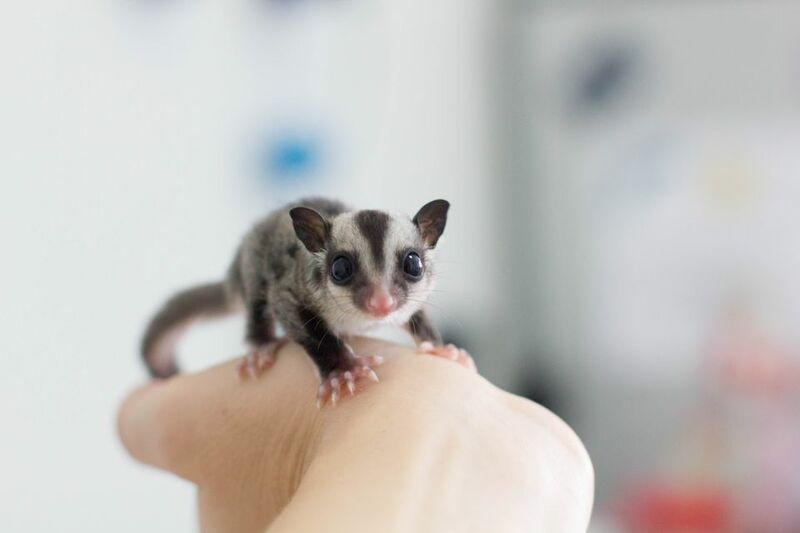 Do Sugar Gliders Make Good Pets? Why Does Your Sugar Glider Self-Mutilate? Do You Have a Cage That is Ready for a Sugar Glider?